This entry was posted in Comments about Cycling on November 18, 2013 by Steve Tilford. Yesterday was windy. Like windy enough that I had a 46 mph max speed on the ride and it was on the flats. And I could have gone faster. I’ve always like riding in the wind. I think it makes training rides interesting. It makes a puzzle out of where the rides should go initially. I use the wind as my main ally for training here in Kansas. It’s always been that way. I remember going for a ride when I was 14, right when I was going to start racing. It was a Spring day and the wind was blowing 30+ mph from the South. I had only ridden less than 5 miles from my house and finally surrendered. I couldn’t ride another pedal stroke into the direct headwind. So, I did a u-turn and knew immediately that it was a mistake. I was coasting along at over 20 mph and was virtually being blown home. I so much wanted to turn around and keep riding, but I was too stubborn to retrace my steps over the road I’d already ridden. So, I was instantly home and vowed to myself not to let the wind ruin my rides. Another memory of wind was one year at the Tour of Texas. The Tour of Texas was originally started to gather riders from all over the country to race and train there. So, we’d go down to Texas and do a stage race, but also train between the races. Most of us wouldn’t have trained too much by March, so we weren’t in shape. I went down to Texas with probably less than 500 miles on my legs. It was the first year for the new 7-11 team. Those guys had been down there for over a month, exclusively riding. The first race was a windy road race. I was pretty good keeping in good position, out of the wind and because of that, made the final break, which consisted of 5 or 6 7-11 riders, me and Thurlow Rogers. I was dying trying to pull through. It was only 10 miles to the finish and I was doing my best to pull. We were riding in echelon and I kept telling myself if I could only make it to the last corner, for last 5 miles of tailwind, I’d be good. Man, was I naive. As soon as we turned the corner, our speed increased dramatically and the draft disappeared. I was spit out the back within a mile. I made it to the finish ahead of the field, but it was super embarrassing getting dropped so close to the finish. Riding with tailind, in a race, really shows who is stronger in a race. It makes the draft much less important and the drafting in a race is really what defines the sport. If I had to name the most important aspect of cycling, I’d say drafting. I bet if I told someone that was unfamiliar with the sport that, they would have no idea what I was talking about. It is kind of strange thinking that. It’s the same with headwind. I’ve climbed with some of the best Colombians on very hard climbs, into very hard headwinds, only staying on because of the advantage of drafting. Anyway, I like the wind. Like I said above, I like riding in the wind. I really like racing in the wind. It makes you stay on your toes the whole day. The windiest place I’ve raced, windiest consistently is at the Tour of Southland, on the South Island of New Zealand. I’d done the race a few times. It is a 5 day stage race and some years, everyday the wind is blowing over 30. Sometimes much more. It is very intense bike racing. I was dropped by Hayden Roulston and Company one day because I was spun out at 50 mph on the flats. Tailwind, on the flats. That was bad. What was worse, turning the final corner that day to the finish. Going from a 50 mph tailwind to a 50 mph crosswind. It was nearly unmanageable. One rider, Paul Crake, crashed that day, getting blown off the road in that corner and he sustained spinal injuries from the accident. Paul was a super athlete at the time, coming to cycling from runner, mainly stairclimbing competitions. He is still the record holder for the Empire State Building stair run. It was horrible luck. I live in a good place for wind. 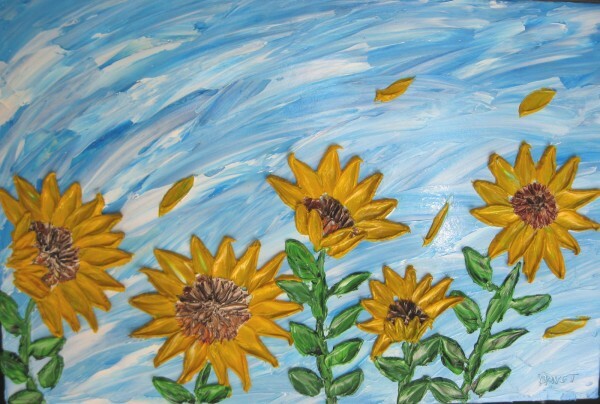 Kansas is the 3rd windiest state, behind North Dakota and Texas. I’m sponsored by TradeWind Energy, a alternative energy company that builds wind farms. They have one wind farm with the average windspeed at over 16 mph, 24/7. Pretty windy. Anyway, it is always windy in the fall here. And spring. It’s not so good at this very moment, when I’m just trying to rest on my bike. I know, I shouldn’t be riding, I should be resting with Shingles. But, I’m more stressed on a daily basis not riding, than riding. The problem is that it is nearly impossible to ride easy when the wind is blowing over 40. Today it looks like it is going to be pretty tame, so that is good, good, but boring. 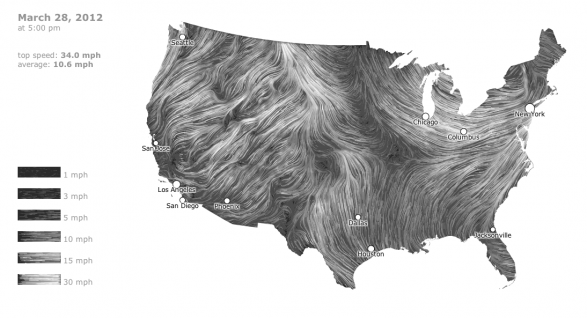 You can click on the map below to see the current windspeed and direction ove the whole United States. It’s pretty cool. Very educational, and interesting. Thank you for eriting! Writing… not eriting. Sorry. Sitting in the dark here. Interesting blog Steve. Lots of random thoughts and experiential insights. All the best.